Yeah, strangely all delivery slots are showing as paid, could be an Easter thing. But you should be able to Click and Collect for free. Thank you. I tend to just use mine for a pillow speaker to listen to audiobooks so was good enough. Around house and out and about going to Bluetooth but like to know. I accept that's a premium product. The Apple dongle performs objectively better than basically every other dongle, and even some purpose built DACs, in all sound quality metrics. USB-C dongles need to come with DAC built in, and you can imagine what lies inside a £1 dongle. You get what you pay for. Why won't these work? USBc to 3.5 from aliexpress Been paying a £1 a time for my Xiaomi android phone? Is it any different tech? Phew not great! I think am taking mine back as this is not acceptable at all. Its super slow charging. I have the same Concerns with regards to slow charging. I Thought it was because I have been spoilt with Huawei's Supercharge Which Is Blazing Fast. It does get quite warm too, Which is part of the problem because the Accubattery app Shows It Charging At A respectable speed until The phone temp reaches 40°. After that it reduces to a crawl. Not a problem for the people who charge once a day overnight but could be an issue for the people like me who top up during the day, especially considering the Pixel 3 has such a small battery. Anyhow I'm gonna try it for a few days and see how it goes. 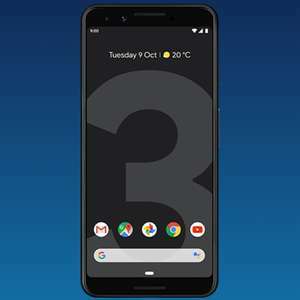 Phew just tried to use my new pixel 3 and not impressed. The charging is too slow compared to my oneplus and the phone gets too warm without even a case on! I believe all online sales have 14 days cool off period? As I believe I might have to take it back sadly. Those who took the regular 3 how are you finding it? Please. Yes I totally agree with you. One seems to have far less of a hassle online instead of in store. In my local store they will ignore you so I would rather deal in store. I'll try my luck tomorrow, seems absurd to return phone just to get another, must cost more to restock and refurb. I have Spigen case on Pixel, and was going to order for 3. Shop have me a battery recharger, already got 2 so asked if they can swap for case instead. They stock Tech21 cases at O2, ludicrous pricing at 29.99 but better than nothing I suppose. Got mine today. Was not locked! Using ID sim (runs on 3). Can anyone confirm if the phone comes unlocked / able to use on 3 network immediately? Why is the 2018 model being sold for more on the Cex website. Are the specs on the older model better? Enjoy your own private movie screenings, immerse yourself in games and explore another world. With the Samsung Gear VR, you can lose yourself in 360 degrees of virtual reality. It 100% does, I've received mine. It won't. It says it clearly in the description. Me too tbh :D I was tempted to get another one sent, the guy on the phone said this should have been a brand new one but there was clearly multiple sets of security tape sealing the box but after I peeled off one to check the contents the tape underneath was cut. So maybe there used to be an adapter in there and has since been used/misplaced due to these being refurbished or returned. Wasn't worth the hassle in getting another one sent out. Possibly not in stock for long, but in stock in grey for now. Anyone having problems with the unlock codes from O2 not working ? 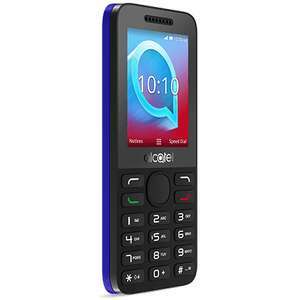 Both colours in stock for me, just add the PAYG sim - no extra cost, no need to top up. Just got mine, no it is not dual sim. Just single sim and no micro sd card extention. Correct me if you can. Got mine today,sealed,i like it ! Received mine today. Seems fine, unboxed, Giffgaff SIM in and working fine! Anyone ? - Been sent the unlock codes a couple of times for different handsets and they aren't working. Yep - shows out of stock at checkout now. Managed to get one a couple of hours ago - just had a dispatch message. Still available new in retail box for £5 - might be have been worth it if it came with a charger but it only comes with a usb cable &amp; a pair of Poundland headphones. Not sure about refurbs but I believe all new o2 phones are now supplied unlocked. Ooooh, it's 4g! Does Android Go still let you tether? Not so long ago I paid nearly 400 quid for a phone with this spec. This is cheap. For using it as a MiFi hotspot it should work fine. Will it run apps that require more up to date versions such as Android 6 or newer eg Wuntu, Caffe Nero. I am looking for something to replace a windows phone which wont run those apps I have mentioned. Have you tried the hotspot feature on the Nokia banana phone? Has it got 5Ghz WiFi support? And is the WiFi stable and doesn't cut out like the iPhone when in idle? 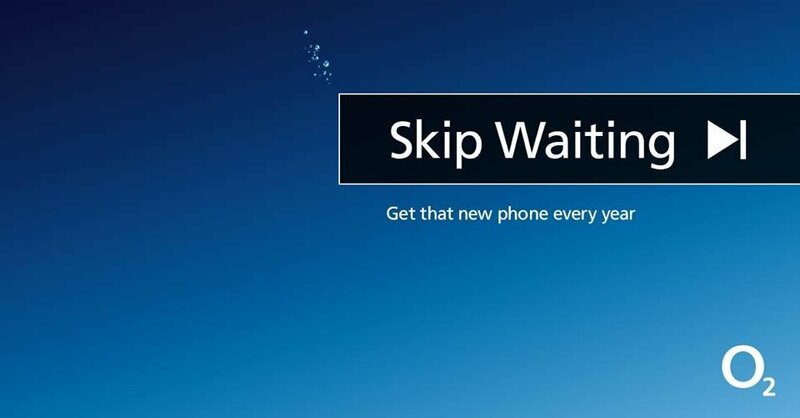 O2 Pay as you Go (PAYG) with £10 free addon (£10 Activation to use offer) so £20 for six months ? 'It looks like this offer isn't for you. But you can still check out our other treats. Like O2 Rewards, where you can get up to 10% back on your top ups. Use it for extra airtime credit. Or save it for something special. http://s.o2.co.uk/ERyclD More for you. Terms apply. To stop texts call 2220.' So not for everyone! Go back to them and refer to their *written* T's and C's. I'm sure if you complain you'll get something for your trouble. Then the 02 operator I spoke to last week when activating my sim lied! Anyone know if xa or others use same case? Hi my phone just arrived there's usb in the box just no plug thats everything that's in the box hope it helps. Does this work even if you never activated/used the O2 SIM they send with the phone? Thank you (y) much appreciated. Huawei Y6 - 2018 - Like New Back in Stock at the O2 shop online with free next day delivery. Not a bad phone if your on a budget. I bought one the last time the deal was up and it was unlocked. I think they are locked to O2 but if my memory serves me right it’s a couple £ to get them unlocked. Are these locked to O2? If they are, how much to unlock them? You add to basket, select a random tariff, then pay. They'll send you a free SIM to top up but you don't have to. Lucky you! They must be releasing units one at a time, now OOS again. Go to the O2 website or stores now to get this offer. Market leading sound!!! Has anyone managed to order it via the website. Yeah exactly the same for me I want the 42mm black and it keeps reverting to the gold one. I had an very unhelpful online chat earlier where they insisted it must be out of stock, which it isn't as it says in stock when I select it. Any one having problems ordering. I am trying to order a 46mm silver. Every time I add to basket it puts a 42mm rose one in there. Nothing but problems with this phone. Specs are great, but speaker went on the blink in no time. Couldn't hear the caller either. Carphone Warehouse acknowledged it was a common problem. Forums are riddled with it. I would avoid it to be honest. I bought this phone for my partner. She seems to enjoy it. £89 from carphone warehouse. If the phone is under 12 months old the issue of any faults, should be taken up with the retailer. Yeah, and with the experience I've had trying to deal with Motorola to get the phone replaced/repaired/refunded I personally would steer clear of them, not the company they once were since being taken over by Lenovo. O2 was founded in 1985 by John Carrington, a CEO of British Telecom. In 2005, O2 was acquired by the Spanish company Telefonica. Since then, it has grown to become the UK's second largest mobile telecommunications provider. In 2008, O2 formed a partnership with Academy Music Group and Live Nation, which means customers of O2 can enjoy priority ticket purchasing for entry to O2 entertainment venues across the UK, including the iconic O2 Arena located in North Greenwich, London. As well as physical stores located across the country, the company operates an award-winning website at www.o2.co.uk. The website offers an easy to use Store Locator based on your postcode or town name. Phones: This includes a broad selection ranging from budget phones to high-end models. Tablets: These are offered with various screen sizes and features. Upgrades: Existing O2 customers have the option to upgrade their device. Sim only : Available for mobile phones, dongles, tablets, and iPads. O2 offers different packages to suit various requirements. Smart tech: Such as smartwatches and fitness trackers. Mobile Broadband: Available as pay monthly or pay as you go. Landline: A useful feature is that you can keep your existing phone number when switching to O2. Apps: A practical selection suitable for business, education, and travel purposes. Priority tickets: Available for O2 customers to purchase up to 48 hours before general release to the public. Accessories: Including sd cards and micro sd cards, battery packs, headphones, speakers, device cases, and cables. International Services: Ideal for making international calls from the UK or for use when travelling abroad. Insurance: As well as providing insurance for phone and tablet devices, O2 also offer car insurance. Bolt Ons (or top ups): These are available for topping up minutes, data, or text. generous, and its often possible to make savings of 50% off the usual price. Sometimes free gifts are available with purchases too. Extra incentives, such as money back rewards every 3 months for those on a pay as you go tariff, are available to customers that fulfil the conditions as specified by O2. In addition, O2 operates an environmentally-friendly recycling scheme, whereby they purchase unwanted phones from customers, refurbish them if possible, and then sell them on at a very low price. Promo codes are often advertised on the O2 website, which generally provide further discounts of up to 10% when the code is entered during online checkout. In addition, O2 takes part in Black Friday, Small Business Saturday, and Cyber Monday. During this event it's possible to make huge savings on the latest devices. When ordering from the O2 website, customers have the option to choose click and collect from their preferred store, or free next day delivery to their address. All orders are tracked. To view the status of an order, simply log onto My O2, and visit the “My Orders” page. Registration is not necessary for the click and collect service; however, it is required for home delivery. Acceptable payment includes Visa, MasterCard, and American Express. The O2 website has a secure checkout to protect their customers from theft. When opting for the click and collect service, customers will need to bring their collection reference number (which is provided in a confirmation e-mail), and the credit or card that was used to make the purchase. It's also possible to arrange for somebody else to collect the purchase - as long as they bring a copy of the confirmation e-mail, and suitable photo ID. Go to the online returns service on the website. You’ll need to verify your device first. They’ll send you a code, that you’ll need to type in on 02.co.uk. Follow the instructions of the returns process. The MYO2 app is free to download, and is ideal for checking data allowances, adding extras if required, securely paying bills, and upgrading packages. It is available on Windows Phone, Android, and iPhone. For extra security, access to the app is via a username and password. The MYO2 app is available from the Google Play Store for Android users, the iTunes App Store for iOS users, and the Windows App Store for Windows users. O2 maintains a News page (which also features competitions, tips, and other useful information), an interactive Community page, and a help page. If you still need to communicate with customer services, there are several options available. For online contact, there is a live chat service that you can access via the Contact Us page. Customers also have the option to message O2 via Twitter or Facebook. The contact number for O2 Home customers is 0344 4990202.
hotukdeals will keep you up to date with all the best deals offered by O2.